It was customary for Barry Choon to take his wife Shalini and their children – seven-month-old Jacob and seven-year-old Sarah – for long drives to the countryside in Toco on evenings to relax. Relatives said he did so on Thursday evening after leaving the family's Tirat Drive Cunupia home at 4 pm. Sadly, relatives did not know it was the last time they would have seen the family of four alive. Choon, 35, Shalini, 29, Sarah, and baby Jason were found dead inside their Nissan AD white wagon in Toco on Friday afternoon. The inside of the car was smeared with blood. Investigators suspect the deaths may have been a murder/suicide as they are working on the theory that Barry may have slashed his wife and daughter's throat. And then suffocated his infant son before he killed himself. Police found a knife in the car which was taken for a fingerprint test and blood sample to determine who is the killer. Senior police said they are also awaiting the results of autopsies that would also shed some light in the circumstances surrounding their deaths. Sarah's body was found in the front seat while the bodies of Shalini and the baby were in the back seat of the car. However, family members are finding it hard to believe that Choon could have committed such a gruesome act and are asking investigators to explore the option that the family may have been murdered. 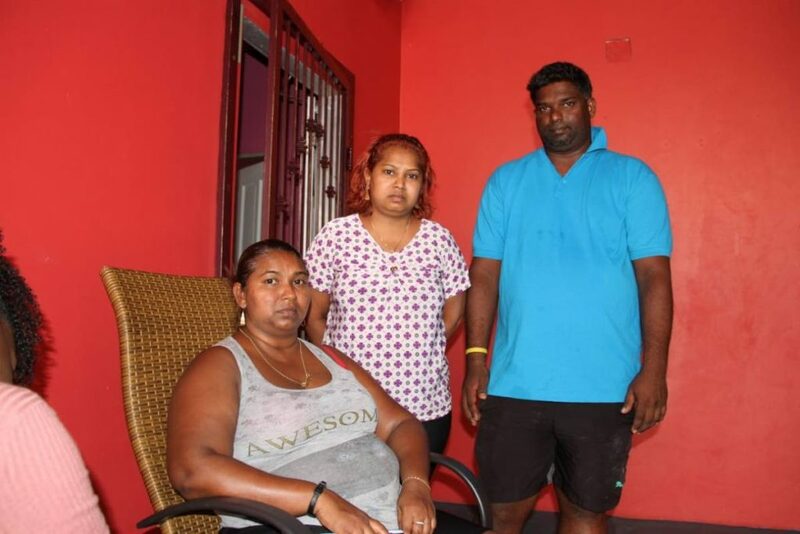 When Sunday Newsday visited the family's home in Cunupia yesterday, Shalini's mother Neela Sookdeo cried inconsolably, "Oh God no! I can't cope. How am I going to cope!" She was comforted by relatives. Her wails echoed throughout the village. Neighbours looked on sorrowfully. Many trying to hold back their tears. Sookdeo said she last saw her daughter, grandchildren, and son-in-law on Thursday afternoon. She said the family was going for a drive and she kissed her grandchildren goodbye as she usually did. “She left after 4 pm. I asked her if she wanted noddles, she said, 'No ma we will buy KFC down the road. '” Sookdeo said her daughter was happy and joyful as she usually is and waved her goodbye as they usually do. Sookdeo said for the past eight years, Choon had been living at their home and he has never been abusive towards her daughter. The tearful woman said, as a couple, Choon and Shalini had their disagreements but she could not believe Choon would kill her daughter and their children as he was not that type of person. The couple were doubles vendors and operated their business at Longdenville on mornings. “They both were very hardworking and family oriented,” another relative said. On Sundays, the family would also go to church in the community. The relative continued, “This is just a shock for me right now. 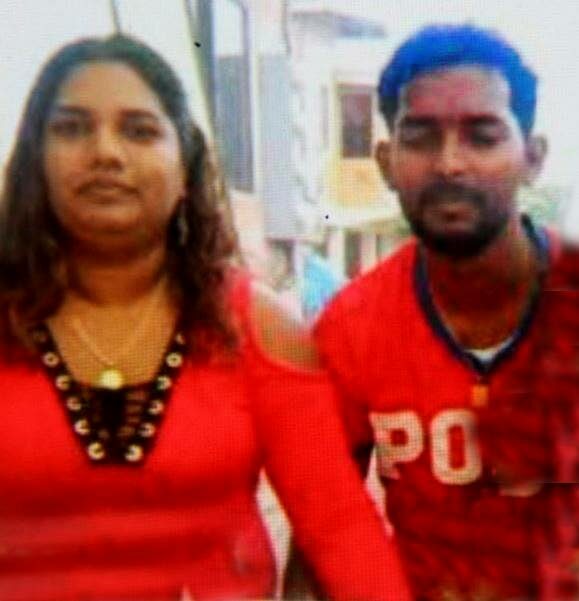 The police are saying Barry killed himself, Shalini and his children but the more I think of it the more I am confused. "I just cannot picture Barry holding a knife to his children far more slashing their throats. And suffocating his baby, nah, nah. This is not the Barry I know, something is wrong here,” the emotional woman said. When Sunday Newsday also visited Choon’s family at California his siblings echoed similar sentiments. Autopsies on the bodies would be done tomorrow at the Forensic Science Centre, St James.